Microsoft changed the way users install extensions for Microsoft Edge in the latest Windows 10 Preview build. Extensions can now be installed directly from the Store, instead of downloading and extracting them from Microsoft’s site. This is a good thing because when Microsoft introduced Edge extensions earlier this year, many users found the method of installing them too complicated. Installing an extension required downloading it from Microsoft’s website and then extracting it in the browser. It’s good that Microsoft recognized this as an inefficient way to install extensions, deciding to change it in the most recent Preview build. 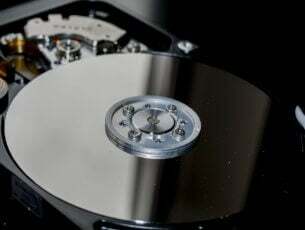 Microsoft warned users that due to the new way of installing extensions, all currently installed extensions are going to be removed upon installing the latest Windows 10 Preview build. To re-obtain those same extensions, install them from the Store once again. Microsoft will delete extensions only in this build as they will be re-installed in the future releases, so users don’t have to install them every time they install the new build. An even bigger highlight than the new method of installing extensions is the arrival of the long-awaited AdBlock and AdBlock Plus extensions. This extension was among first announced extensions for Microsoft Edge as its developers revealed it way back in 2015. 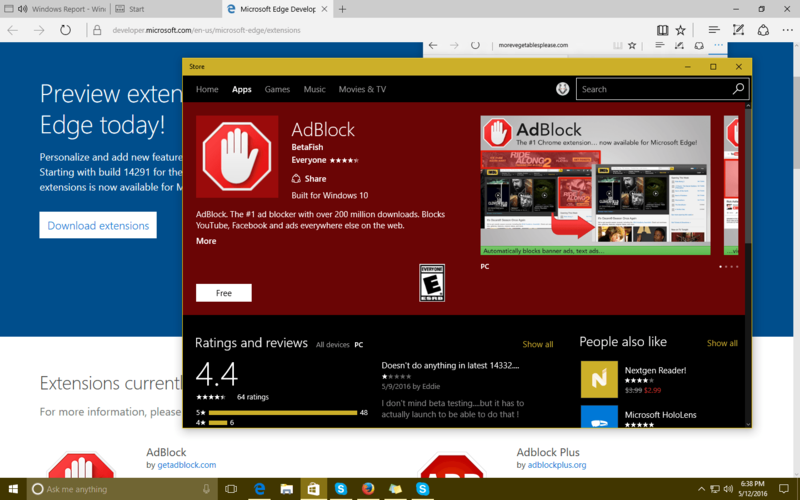 Windows Insiders who install AdBlock will be able to block ads on every site, just like they do in other browsers. Microsoft also advised users to run only one AdBlock extension because running both at the same time might cause some crashes. AdBlock is available for free download in the Store alongside other Microsoft Edge extensions that include the Pin It Button, Mouse Gestures, Reddit Enhancement Suite, Microsoft Translator, and OneNote Web Clipper. Tell us in the comments below: What do you think about the new way Microsoft Edge extensions are installed?